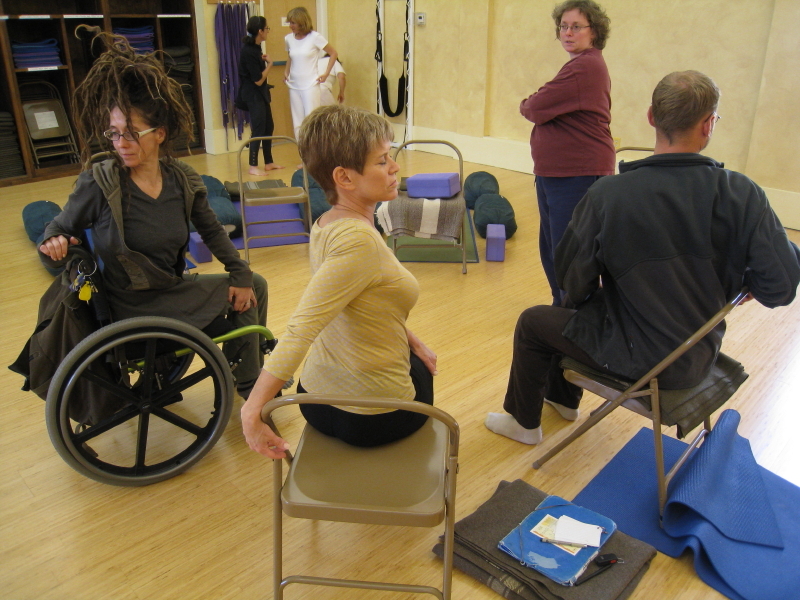 Accessible Yoga Teacher Training is an Integral Yoga teacher training certification program specifically designed for training people with disabilities to become Yoga teachers. It is the only program in the U.S. that meets national standards and focuses on being available to people who have paralysis, a disability, chronic illness, or physical limitation. 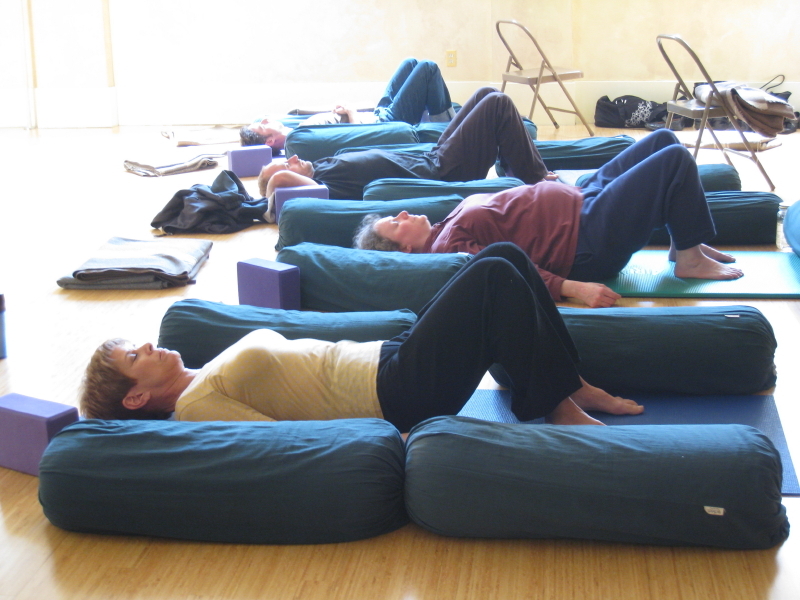 Our Basic Training offers a foundation in basic Yoga principles and teaching methodology. The curriculum is very similar to the content of the Integral Yoga Basic Teacher Training program, giving teachers all the knowledge they need to teach beginners-level Yoga. The main difference in this program is the extra effort made to make the material easy to learn and integrate. 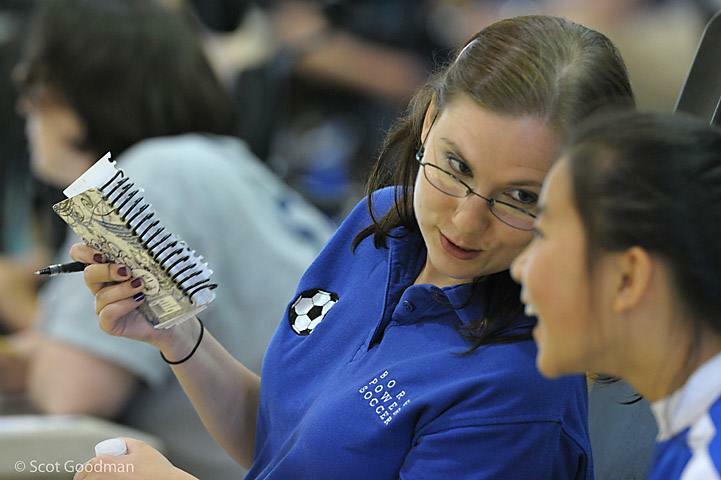 We also offer extra support for students as they experience the transformational process of a teacher training program. Also, sliding scale tuition makes the program financially accessible. We will be examining the therapeutic effectiveness of a wheelchair ballroom/Latin dancing program that will take place for six weeks, from July 16th to August 24th. The dance program will run simultaneously at three different locations in the Bay Area (San Jose, Palo Alto, and the East Bay). At each location, there will be two dance sessions a week for the six weeks. Each dance session will be approximately two hours. Participants will have to come to the Palo Alto VA for assessments before and after the study. Each assessment session will take approximately three hours and will be performed by our research staff. The last day of the dance program will be a voluntary dance competition combining everyone from all three locations. The participants of the dance competition will be competing for cash prizes. American DanceWheels (americandancewheels.com) will be coming to teach the full dance course at each location. They specialize in wheelchair ballroom and Latin dancing and normally partner one able-bodied person with one disabled person. Along with the wheelchair dancing study, American DanceWheels will be holding a teacher certification course for wheelchair ballroom dancing over the course of two weekends. Feel free to forward this information along and those who are interested or have questions can e-mail meela.mehdi@va.gov or call (650) 493-5000 ext. 65635. 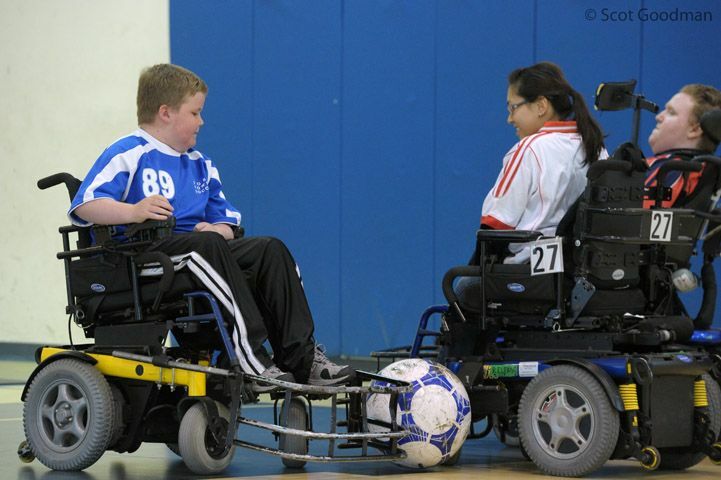 The BORP Bay Earthquakes and Crushers ended local season play on a high note on May 19-20 with some thrilling games in Alviso. These games presented the last opportunity for both teams to test themselves in competition before going to their national Conference Cups in June. On May 19 the Crushers played with great spirit but took 3 tough losses against strong opponents, including the Vancouver Lightning, a team whose players all played at the 2011 World Cup on the Canadian team. The Crushers were the only team to score on the Vancouver side all day with a surprising deep strike from Margaret Mele that slipped past the frozen Lightning defense. 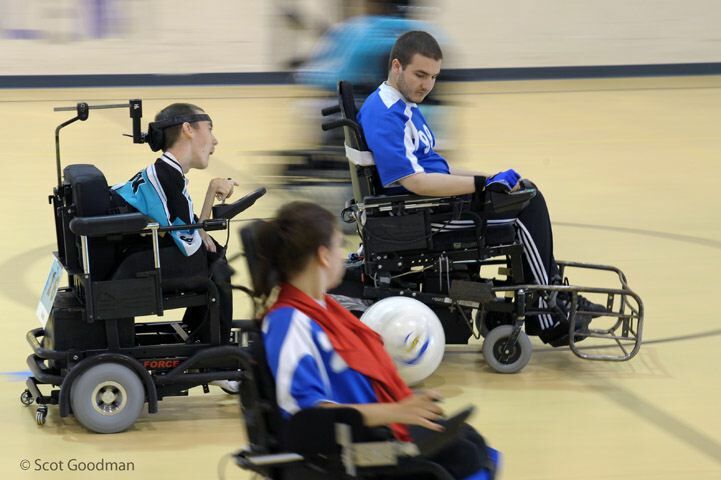 On May 20 the Bay Earthquakes showed power soccer at its best in their final tune up game before the Premier Conference Cup with a relentless attack and a dominating win versus the Vancouver Lightning. Following a tough loss against San Jose in their first game of the day, the Earthquakes applied constant pressure on the Lightning defense and used their passing to open up numerous scoring opportunities and score 3 goals (that easily could have been 6-7). The Earthquakes will head to Tampa for the Premier Conference Cup on June 15-17 and the Crushers will be in Minneapolis for the Presidents Conference Cup June 21-23. Both teams have improved tremendously throughout the season and are looking forward to taking on the best teams in their conferences. Registration for the REV is OPEN! Join BORP on Saturday October 6th for a fantastic festival, as well as great rides. 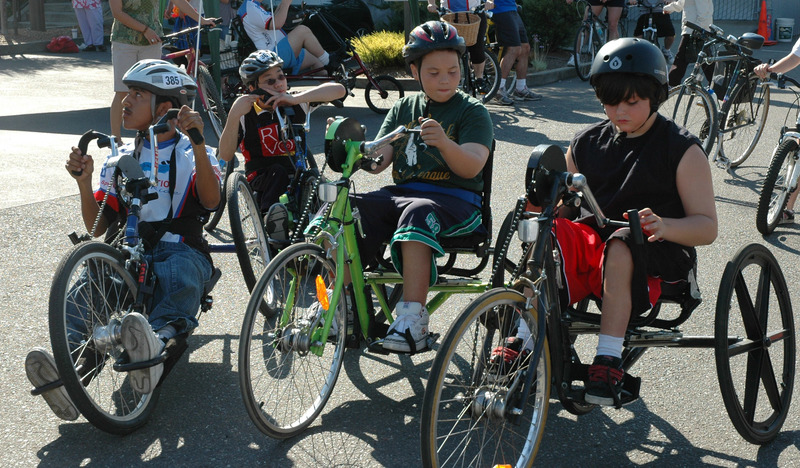 BORP is excited to be celebrating our 10th annual ride this year! In addition to a new route we have added a roll and stroll through the Trentadue vineyards. So if cycling isn’t your thing you can roll or stroll among the vines and help support BORP. The brand new REV registration portal is now open. Click Here to get to our website registration page. Start your engines and let the world know that the Revolution Ride is coming! Kapoeira for the Visually Impaired at the BORP Fitness Studio! Master Raiul’s Kapoeira (pronounced kap-oh-ehda) is a Brazilian art form that combines minimum-contact martial arts and self-defense with rhythm and music. Kapoeira involves many different movements and musical instruments. It is a fun way to develop physical coordination, endurance, rhythm, flexibility, strength and self-defense! Come get energized and join the fun! Check out these links to hear what some Kapoeira participants have to say about taking this class from Master Raiul. Master Raiul is a highly qualified teacher who is specialized in teaching Kapoeira to the blind and visually impaired. Along with 36 years of martial arts training and experience, Master Raiul also has a degree in Physical Education. He developed Cerqueira’s Methodology, which enables blind and visually impaired students to learn Kapoeira. He used this teaching method to start this unique class in 2004 in Sao Paulo, Brazil at the CADEVI Institute, a support center for the visually impaired that collaborates with the Dorina Nowill Foundation for the Blind, and he taught over 50 students at the Braille Institute in Los Angeles, CA. His Kapoeira classes enable all visually impaired and blind students to be able to exercise, learn self-defense, and play musical instruments through the practice of Kapoeira in both group and individual settings. Not only do these classes improve physical fitness, but they also provide a cultural experience while building community. BORP and Master Raiul are offering Kapoeira classes on Tuesdays from 7:15-8:15pm, and Fridays from 6:30-7:30pm. 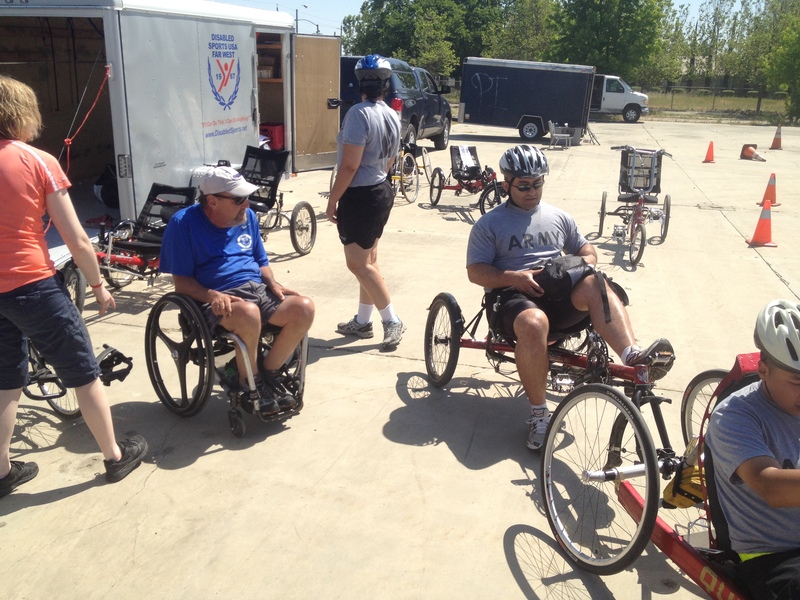 BORP’s Wheelchair Basketball and Adaptive Cycling Programs teamed up with several other Paralympic Sport Clubs throughout California to introduce over 140 injured US Army and National Guard soldiers to adaptive sports in Sacramento last week. “Adaptive sports give our Soldiers the chance to see how they can still be athletic and participate more in life by showing them what they can do to stay physically fit and stay more engaged with their families, friends and communities,” said Lt. Col. Moira Carpenter, Community Based Warrior Transition Unit – California commander. The CBWTU has the unique mission of allowing wounded, ill and injured Guard and Reserve Soldiers to live with their families and to receive local healthcare in communities not near Army medical facilities. Although Soldiers in the unit live in California, Nevada, Oregon and Washington, they are gathered in Sacramento for a one week conference to meet with leadership, train and interact with one another. At the multi-sport event, injured soldiers had the opportunity to try adaptive handcycling, wheelchair basketball, scuba-diving, rock climbing, softball, and track and field events. 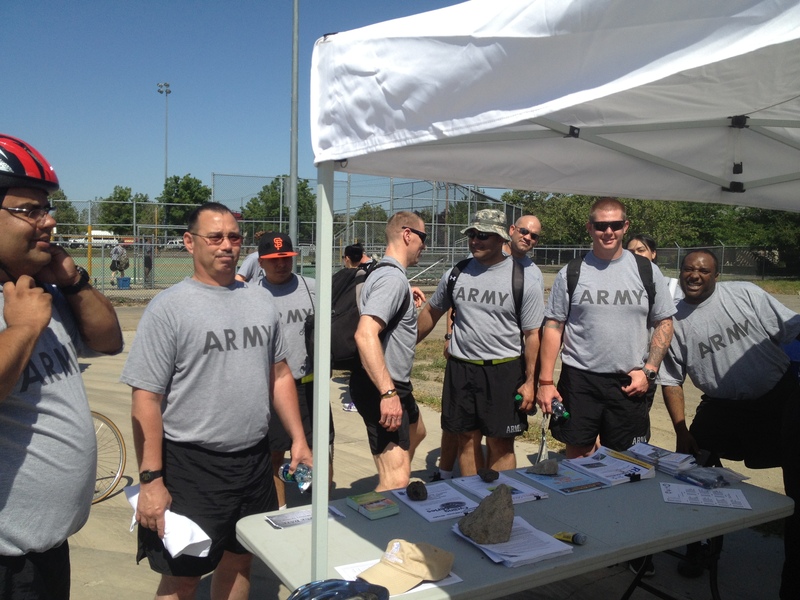 The event was organized by The City of Sacramento Paralympic Sport Cluband funded by United States Olympic Committee, Paralympic Division and the Department of Veterans Affairs. The Spina Bifida Genetics Research Project is starting the second phase of a study to determine if genetic variations in folic acid metabolism account for an increased risk of having a child affected by Spina Bifida. From the results of the study, it may be possible to develop a test that can identify women who may not be adequately protected by standard prenatal vitamins, but who might benefit from high dose folic acid therapy prior to conception. They are seeking mothers who have children with Spina Bifida, and who did not participate in the first phase of this study, which was conducted in 2009-2010. They are also enrolling mothers of children who have not been affected by Spina Bifida to serve as controls for the analysis. They want to avoid collecting from close relatives (sister or 1st cousins) as that could skew the analysis. Participants in the study are asked to complete a brief online survey and provide a DNA sample using a simple, at-home saliva collection kit that is delivered and returned by mail. For more information and to enroll in the Spina Bifida Genetics Research Project, please click on this link http://sbgenetics.org/enrollment.html and select ‘Click here to ENROLL’. The website and survey are available in both English and Spanish. The study will only be open until July so it is important to participate today! Upon completion, participants may choose to receive a $10 gift card or we will donate $10 to a spina bifida organization of your choice (including BORP).